The latest BETA of Proxmox, and soon to be released 3.2 comes with the Ceph client automatically installed which makes mount Ceph storage pools painless. You can mount the Ceph storage pool using the Proxmox web GUI. You may need to copy the Ceph storage pool keyring from your Ceph server to your Proxmox server. If you use authentication on your Ceph storage pool, log in to your Ceph server via SSH. Run the below scp command to copy your Ceph keyring to your Proxmox server. 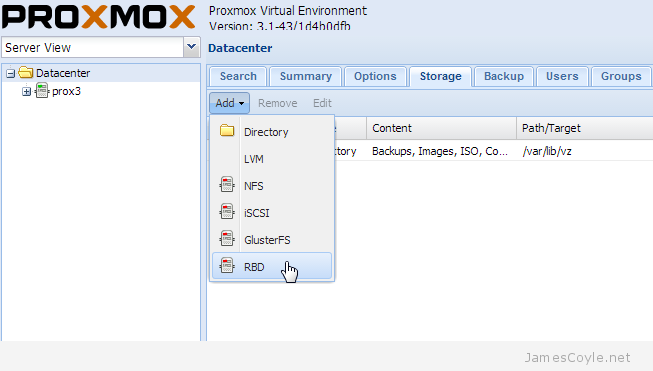 You will need to replace [PROXMOX_SERVER] with the host name or IP address of your Proxmox server and [STORAGE_NAME] is the name you will use for your Proxmox storage mount which will be used in the web GUI. To use the Proxmox GUI to mount a Ceph storage pool, login to the web GUI and click on the Datacenter folder in the top left, then click the Storage tab, Add and finally RBD. Enter the details of your Ceph storage pool in the new dialogue box which appears. ID: the name which this storage mount will have in Proxmox. If you use authentication on your Ceph server, you will need to use the same name as the above [STORAGE_NAME] field. Pool: the Ceph storage pool name. Monitor Host: the host or IP addresses of your Ceph monitor servers. You can enter a single host or multiple hosts separated by a semicolon [;]. User name: the named use to use when connecting to the Ceph storage pool. 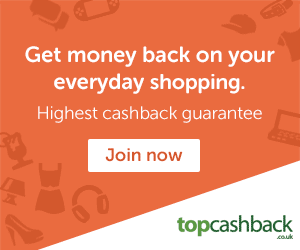 If you are not using user authentication, set this to the below value. Don’t forget to make sure that the Proxmox host can reach the remote Ceph monitor hosts – by default a Ceph monitor runs on port 6789. I’m finally looking to adopt Ceph w/ ProxMox and I’m wondering if it is possible to mount a ceph storage pool or container from one or all cluster nodes and then traverse the filesystem via the command line? IE: Is it possible to get into it and manipulate the files – mount it and browse it like a traditional NFS? Yes, just mount it in Proxmox and browse it from the mount point. 1. I don’t see ceph storage as an option in the gui when I click “add”. 2. All my vm.conf files in /etc/pve/qemu-server/ where deleted in the process of upgradeing. This is of course a different issue, so I’m busy creating the files for my vm’s again. What should I do to add ceph storage as an option?